20 days in North India! 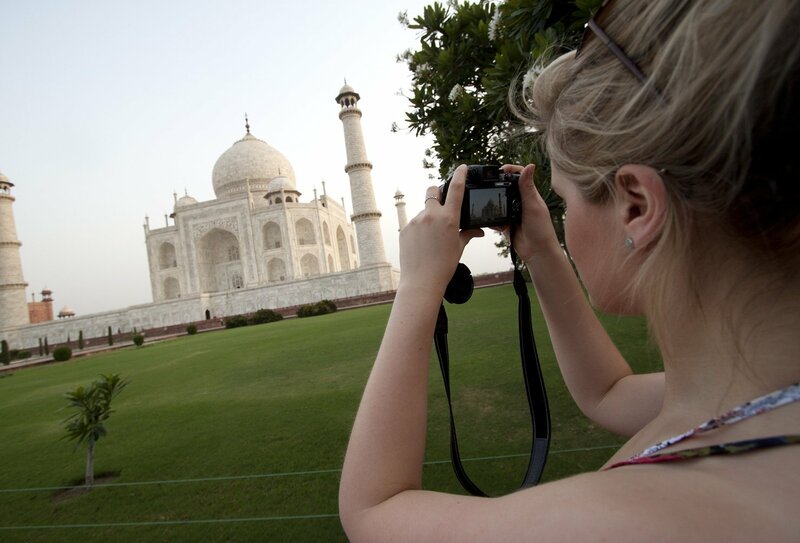 See Delhi, the Taj Mahal and the spiritual Ganges! Ride camels and camp in the Thar Desert! 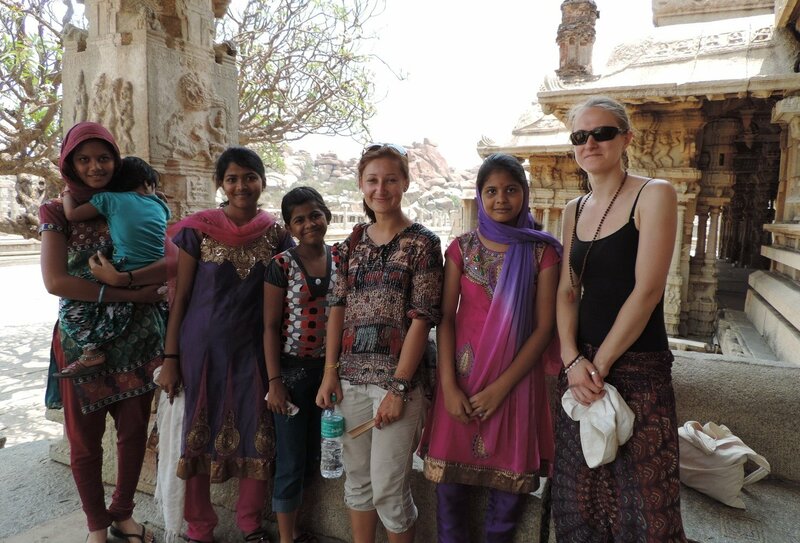 This vibrant trip will take you on a whirlwind adventure through India! This is the perfect experience for anybody who wants to experience everything that incredible India has to offer, from dazzling capital cities and historical sites to off the beaten track villages and golden desert landscapes! You’ll be overwhelmed by the Taj Mahal, enjoy a flower and candle ceremony on the beautiful River Ganges, explore Jaipur and get to grips with some of India’s most amazing cities! You’ll also be pitching up beneath the stars for a mesmerising desert experience experiencing Varanasi’s spiritual buzz. There’s plenty of free time throughout the trip, so you’ll be discovering what you love about this unmissable destination. 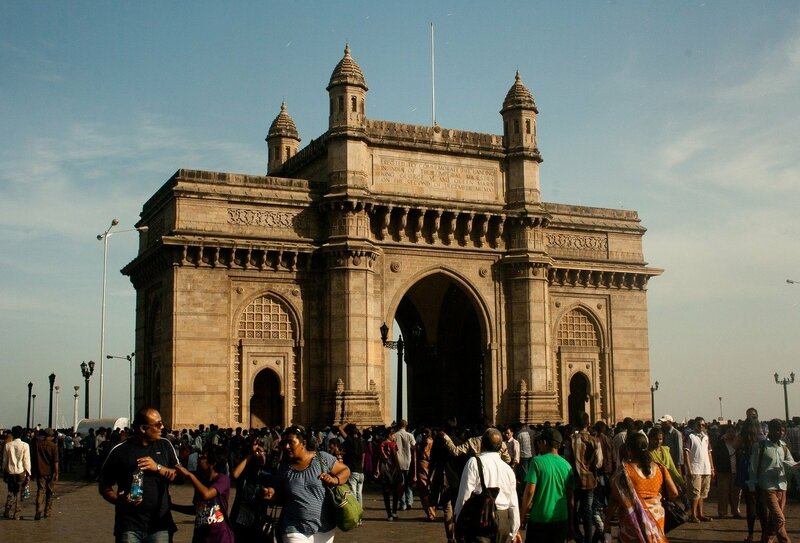 This is your invitation to explore inspiring India without breaking the bank! Day 1: Welcome to India! Arrive in Delhi. Today you’ll arrive into Delhi! There’s a welcome meeting this evening where you’ll meet your trip leader and the rest of your group. You can then opt to eat a meal at a fantastic local project that provides training opportunities for disadvantaged youth. Make a difference on your travels! An airport pick-up is not included in your trip, however we can arrange this for at an additional cost. Please contact us for further details. Today you’ll go on a walking tour with the Streetkids Project, led by former street children whose lives have been transformed by the project. You’ll then visit Jama Masjid, Gurdwara Sis Ganj, and the legendary Chandni Chowk market! 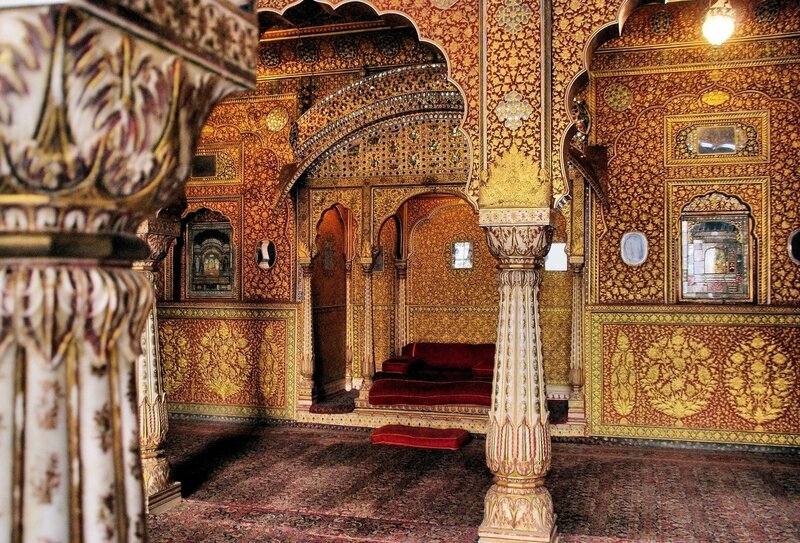 Tonight, we’ll board an overnight train to Bikaner where you’ll be able to catch up on some sleep in your own bed. Day 3: Camels and Camping! Once we’ve arrived into Bikaner we’ll check into our hotel and freshen up. We’ll go on a jeep ride to a local village where we’ll mount camels and take a fun-filled ride through fields and local communities! We’ll break for lunch and then head back out with the camels, stopping to watch a gorgeous sunset! We’ll sleep in the heart of the desert tonight, in tents beneath the stars! Opt to wake up and head up the dunes to watch a beautiful sunrise this morning before heading back to Bikaner. We’ll then head to the Old City, discovering an intricate network of winding streets. Your guide will be with you so you’re free to discover the city without getting lost! You’ll also have an orientation of the Old City markets today where you’ll experience the magic of Bikaner’s historical aura. Hop on the train to Jaisalmer today, complete with spectacular desert views! It journeys through the desert so get ready for some amazing views! Once we’ve arrived, why not head out and explore the city on foot – stay out until sunset and watch the sandstone buildings glow! Wake up to a free day in the Golden City! Head to the imposingly beautiful fort and take to the labyrinth of lanes, or explore the Desert Cultural Centre and Museum. Another popular site is the Tanot Mata Temple where you can enjoy the spellbinding spiritual atmosphere.Later, perhaps head out with your group for a tasty traditional meal before watching the sun set on another memorable day in Jaisalmer! We’ll bus to Jodhpur today! Once we’ve arrived we’ll take an orientation walk through the city for a glimpse of the colourful houses that have earned Jodhpur the nickname ‘Blue City’. There’s some free time this afternoon, so get out and explore the surrounding area! Head southeast to Udaipur today! Once you’ve arrived you’ll head out on an orientation walk through the Old City. 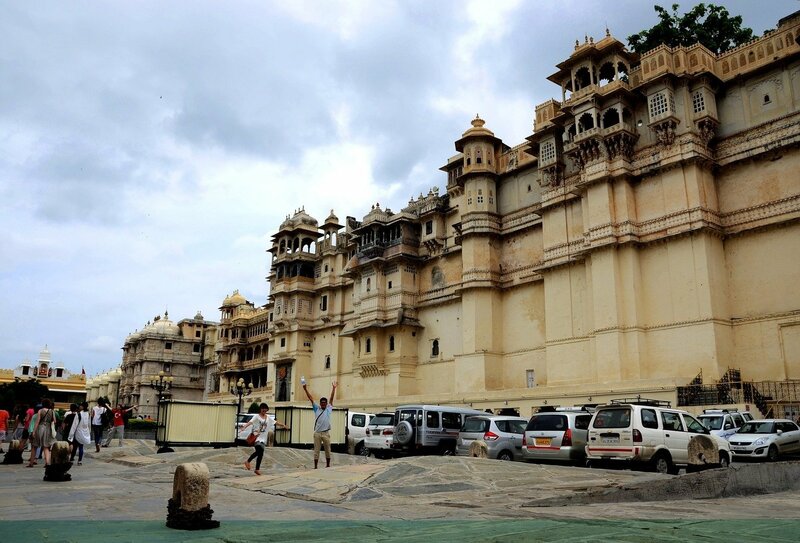 Udaipur is situated around glittering lakes and made distinctive by its ornate buildings. After your walk you’ll head to the hotel to relax, and maybe grab a tasty meal later! You’ll have a free day in Udaipur today, so why not visit the stunning City Palace or check out the Monsoon Palace, the summer retreat of the Maharajas. 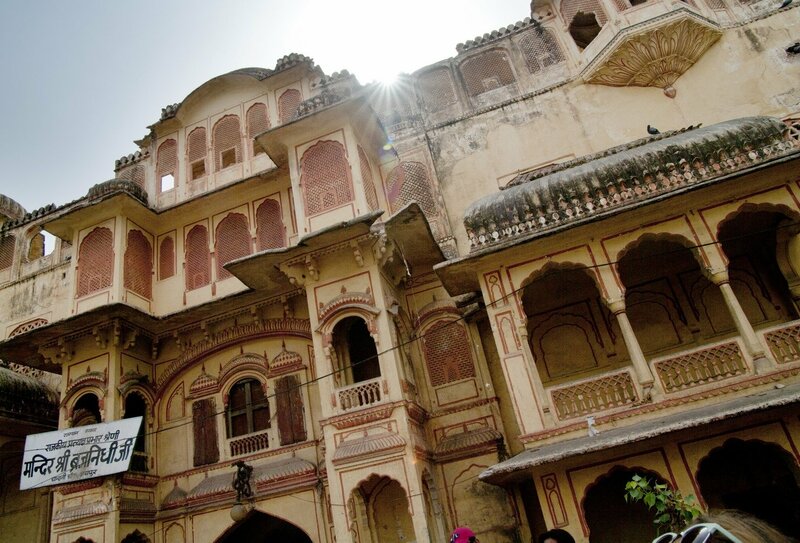 The palace is located on a hilltop and showcases incredible architecture. Tonight, you may want to watch an evening dance performance before heading back to the hotel. We’ll head to Pushkar today, and once we’ve arrived we’ll head out on an orientation walk before visiting the colourful Brahma Temple! Later you’ll have some free time to wander around the city where camels walk side by side with locals, or head to an exotic market and pick up some handicrafts. Opt to climb the hilltop to Savitri Temple this morning to watch an entrancing sunrise. We’ll take an exhilarating 4x4 ride to Tordi Sagar today, where we’ll tour the local village and get to know the people who call Tordi Sagar home. 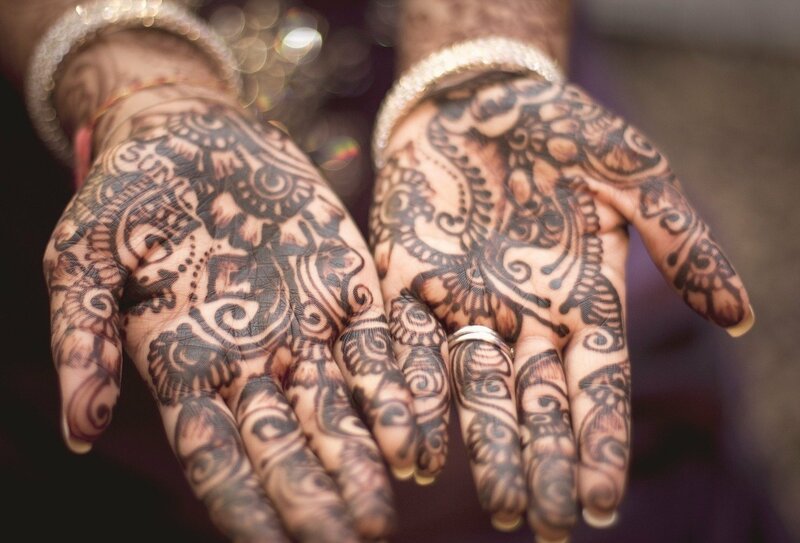 Immerse yourself in authentic village life, painting henna with the local women and getting stuck into a cricket match with the locals! Before we hop back into the 4x4s to drive to Jaipur, we’ll have a tasty group lunch at a local village. The pictures of the ‘Pink City’ don’t quite do it justice, but today you’ll get to see the iconic pink sandstone with your own eyes on an orientation walk. 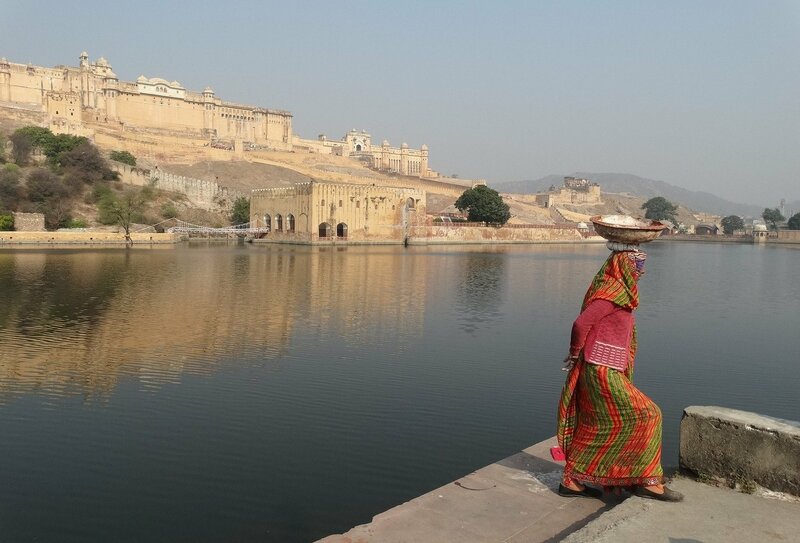 Today there’s a guided tour of the Amber Fort. The fort features an intricate exterior, and once inside you’ll be blown away by the artistic ceilings and stunning courtyards. 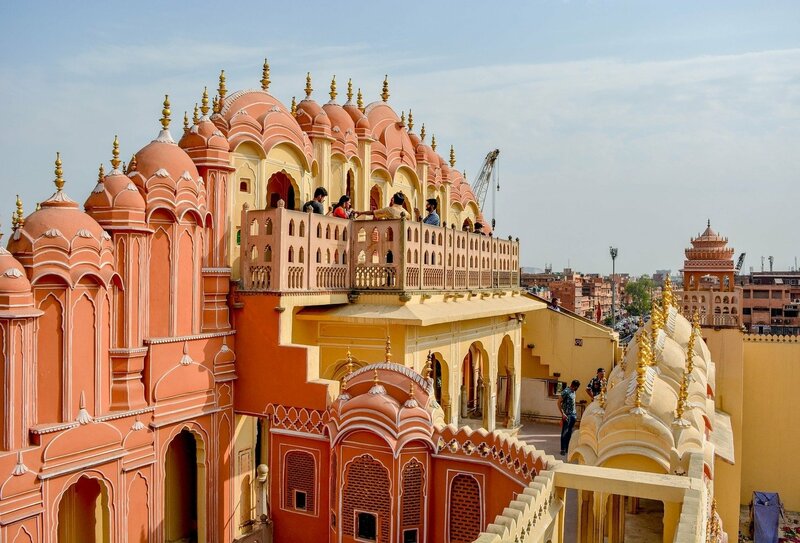 After your tour you’ll have some free time, so perhaps check out the Hawa Mahal (Palace of the Winds) or spend some time at the refreshing Sisodia Rani Palace Garden to experience the peace away from Jaipur’s vibrant buzz. 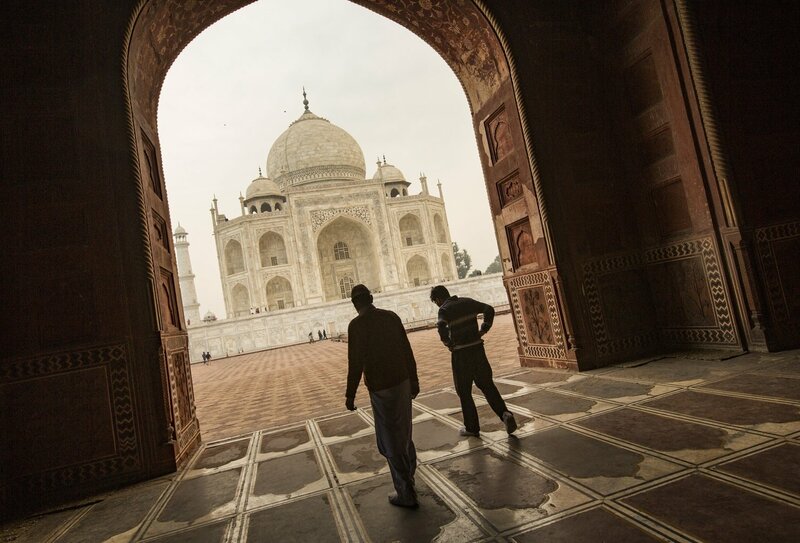 You’ll bus to Agra today for a guided tour of the incomparable Taj Mahal! 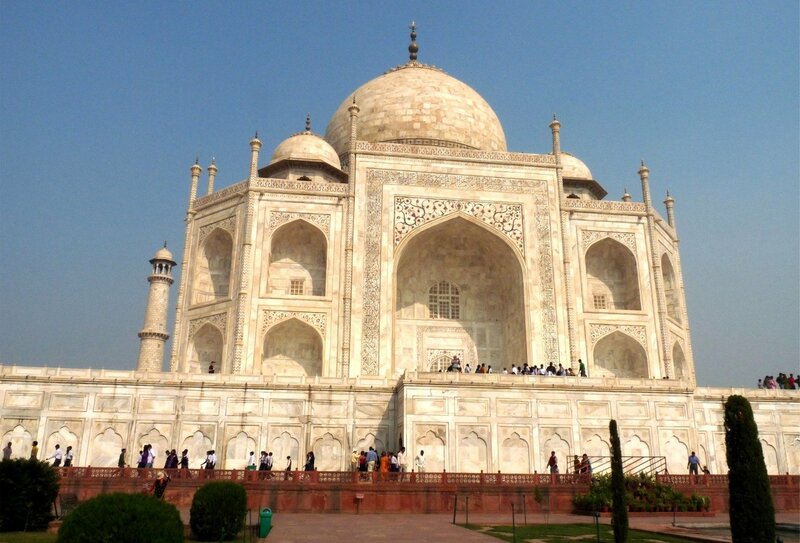 The Taj is one of the Seven Wonders of the World, and was built by the Mughal Emperor in honour of his wife. Crowds flock to this magical masterpiece, but the enchanting aura is never compromised no matter how busy it is! During your free time this afternoon, why not head to the Agra Fort to discover the Delhi Gate? 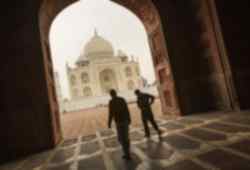 Wake up to a free day in Agra!. 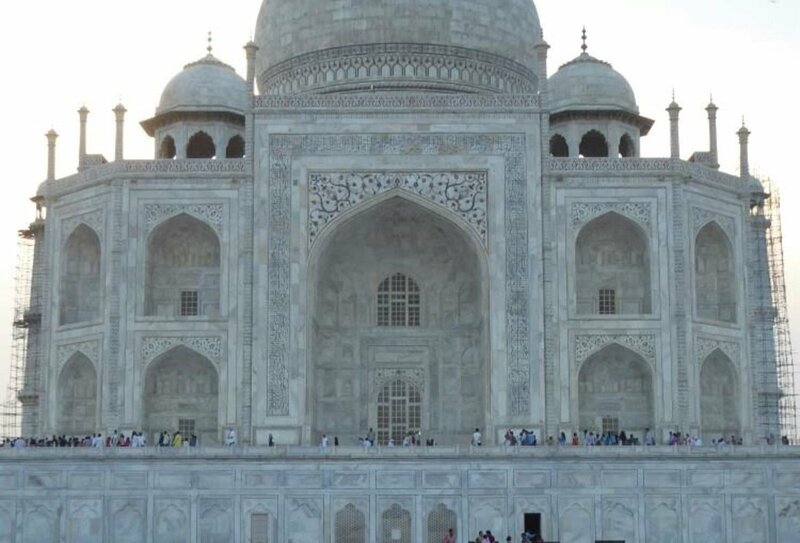 You may want to visit the ‘Baby Taj’, a splendid mausoleum featuring some of the very first white marble and stone inlay designs! 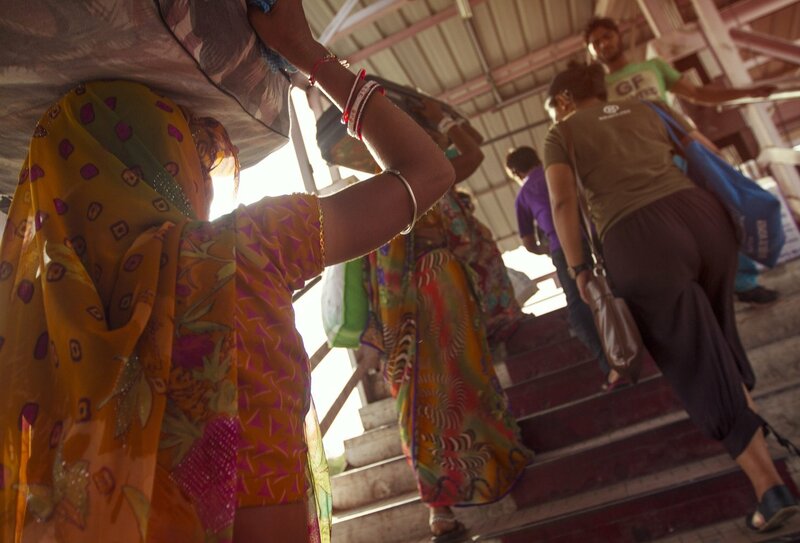 Tonight, you’ll be able to stretch out in a bed on your overnight train for your journey to vibrant Varanasi. 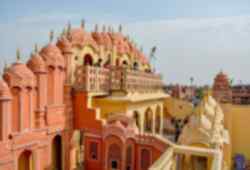 You’ll arrive in Varanasi this morning, India’s amazing holy city. The aura is tangible – Varanasi sparkles with a spellbinding spirituality. Spend free time wandering the city’s winding streets, passing by the beautiful temples and shrines and sharing in the inspiring atmosphere. This evening you’ll boat along the Ganges River and participate in an uplifting candle and flower ceremony. 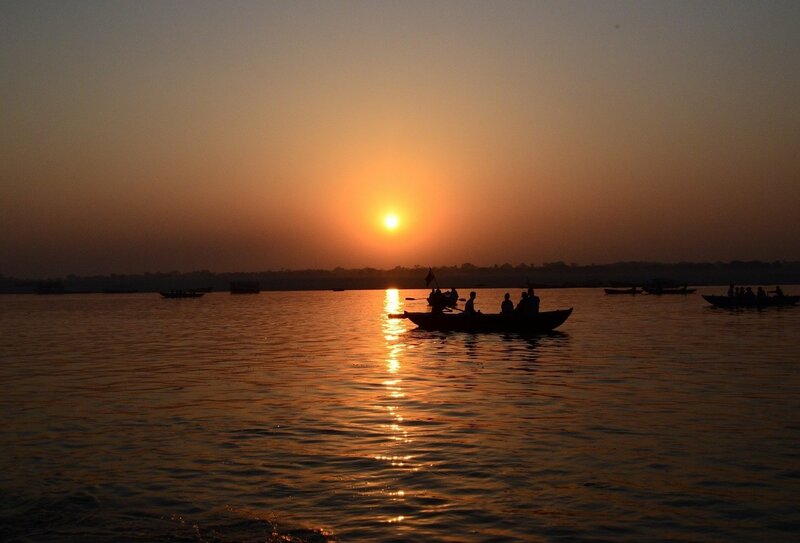 Head back to the Ganges this morning to enjoy the sunrise on a boat. You’ll then have some free time to discover Varanasi! Varanasi is home to thousands of temples and monasteries, so head out on foot to explore the spiritual sites that are dotted around the city. For a leisurely afternoon, take to the ghats to watch the rituals by the Ganges, or head to the street markets to watch merchants sell their wares! You’ll have a free day in Varanasi today. You might choose to visit some of the temples you haven’t yet explored, or simply spend a day getting to grips with Varanasi’s network of narrow streets! Tonight you’ll be able to stretch out on a bed on the overnight train to Delhi and catch some rest before you return to India’s captivating capital. You’ll arrive in Delhi today and have plenty of free time to explore! Delhi is the street food capital, so why not arrange a cooking class? The Lodi Gardens are fantastic place to experience another side of Delhi, you can beat the bustle and experience some serenity! As it’s your last night, you may want to arrange a group meal with your fellow travellers! You can depart at any time today. Be sure to let your guide know about your travel plans in case you need help with making any arrangements. Please note activities are itineraries are subject to change. You’ll be staying a range of accommodations throughout your trip, 15 nights simple hotels or hostels on a twin or multi share basis, 3 nights sleeper train and 1 night camping. You’ll be staying in simple yet comfortable accommodation on a twin or multi-share basis througout. .
Hotels in India may be unlike the hotels you are used to back home, but this is all part of experiencing a new culture! 2 breakfasts, 2 lunches and 2 dinners are included in your itinerary, and you’ll be responsible for selecting and paying for any additional meals that are not included, this will give you a great opportunity to try some of India’s varied and vibrant cuisine. We recommend budgeting USD 435-565 for meals not included. You’ll need to make your own way to our Delhi meeting point on the start date of this tour. Our welcome meeting and briefing begins at 6pm, though you may want to arrive earlier in order to have some time to explore. An airport pick up and transfer is not included as part of this trip. 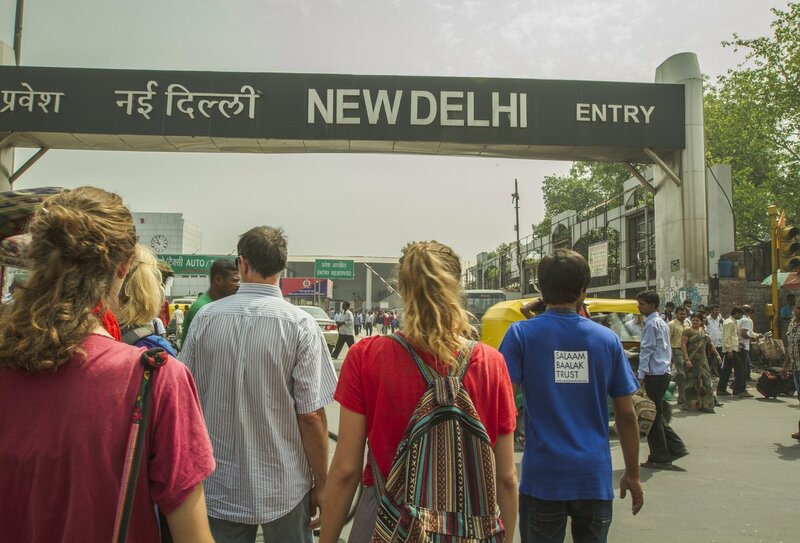 The trip finishes in Delhi on your programme end date which is day 20 of the trip; no activities are planned on this day so you are free to depart at any time. To book your flights, please contact our fantastic flights team on 01892 277037 who will do their best to get you the best deal on the day. Please provide them with your full name as it is stated in your passport. Before you make the call please make sure you have your required departure dates, return dates and other details you may require. The minimum age for this trip is 18 and the maximum is 39. Is English Spoken Throughout India? English is generally spoken throughout India. We recommend that you pick up a language guide if you want to get to grips with some basic phrases that may come in handy during your trip! This will depend on your individual spending habits. You will have to pay an International Departure Tax if travelling to India – this applies to all travellers and is not specific to this trip. In Asia, it is customary to tip service staff at a rate of 10%, so budget for this. There is also plenty of sightseeing to be done, and it’s best to look into the price of any sites you’ll be visiting during your free time, and any of our optional extras that you’d like to do. Can You Tell Me More About My Guide? Your guide will be on hand to help you get the most out of your Real Gap Experience and ensure that your travels run as smoothly as possible! Your guide can offer suggestions for things to see and do in your free time, and answer any questions you have about the regions you’re visiting. Vaccinations are often required for entry into India, and you should contact your GP for information regarding any vaccinations you may require. You will need a visa to participate in this trip. Visa requirements will vary depending on your country of nationality, so we’d advise you to look at your government’s foreign ministry website. Indian tourist visas are valid for 6 months and will need to be obtained in advance – it is not possible to obtain one at the point of entry. What Should I Do If I Encounter Arrival Complications? You shouldn’t expect any complications, but in the rare event that you experience them please contact your starting point hotel at your earliest convenience. You’ll then be able to leave a message for your guide. If you are unable to meet your guide for your airport transfer due to travel complications, please make your own way to your starting point hotel. Can I Book My Own Room For This Trip? You can opt to book your own room for this trip, in which case you’ll have a private room for each night of your trip apart from any nights when you’ll be on the overnight sleeper train. Please note that a private room upgrade is at an additional cost, please contact us for details. Is It Okay To Travel Solo On This Trip? Absolutely! Lots of travellers choose to embark on this trip solo. The great thing about getting involved in a Real Gap Experience is the fact that you’ll be with a group of fellow travellers, sharing your experiences. Groups tend to make friends really quickly. It’s equally okay to travel with a friend, boyfriend or girlfriend – you’ll still make lots of friends along the way! 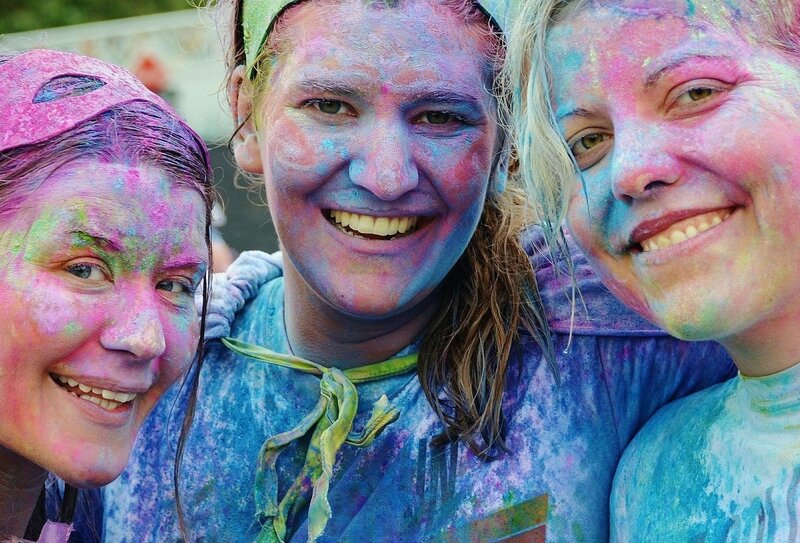 Will I Experience Culture-shock In India? India is a beautiful country that is full of friendly people. However, life in India is also very different to that at home. The cities can be crowded and you may see examples of extreme poverty which you may find distressing. Your guide will be a good person to talk to if you ever feel upset by your experiences. What Is Transport Like In India? Transport can seem unusual to a western traveller. On the roads, car horns are used frequently and loudly and traffic can seem chaotic. Trains can occasionally run very late and railway stations are a bustling slice of Indian life. The carriages you will be booked on to on this trip will be fairly clean by Indian standards, and will have western-style toilets. We recommend bringing your own toilet paper and hand sanitizer though! What's The Average Group Size? The average group size on this trip is 14. The maximum is 18. 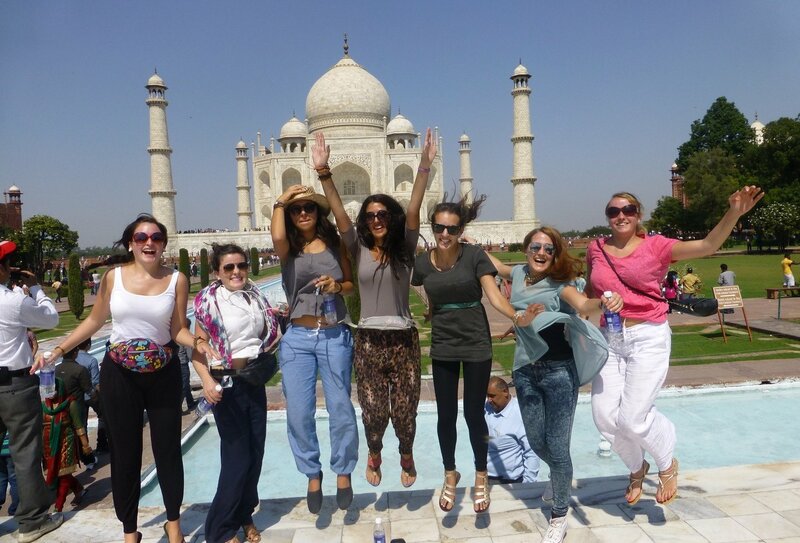 Anyone booked onto the Ultimate India 19th October?? Iâ€™m so interested in booking with the Real Gap Experience! Iâ€™m just really wary and cautious. Is this a legitimate tour company? How was your experience? Anyone going to Kerala to teach, from 15th June-30th june ?????????? ?